In front of Renato’s pasta company in Jack London Square. …here he makes his pasta. 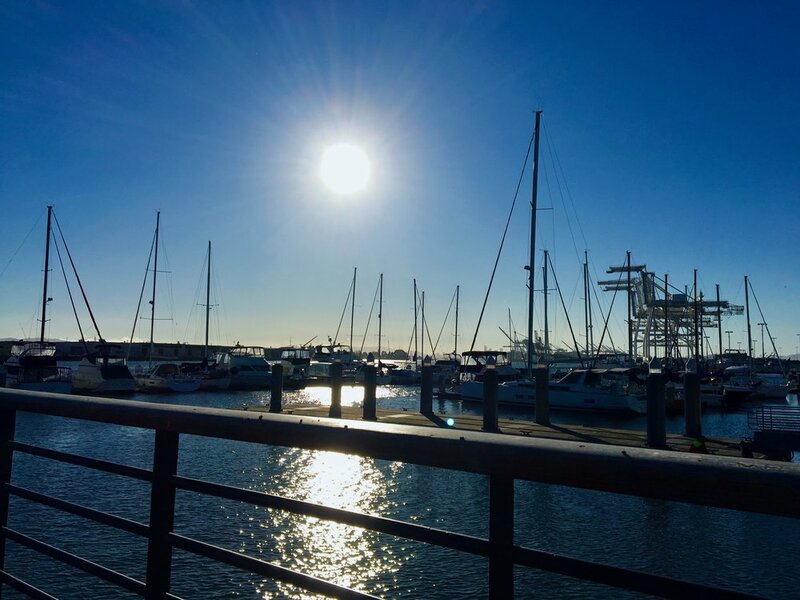 I haven't been to Jack London Square in Oakland in a long while so I jumped at the opportunity to set a business dinner there last week with one of my associates from Imperative, the "purpose company." 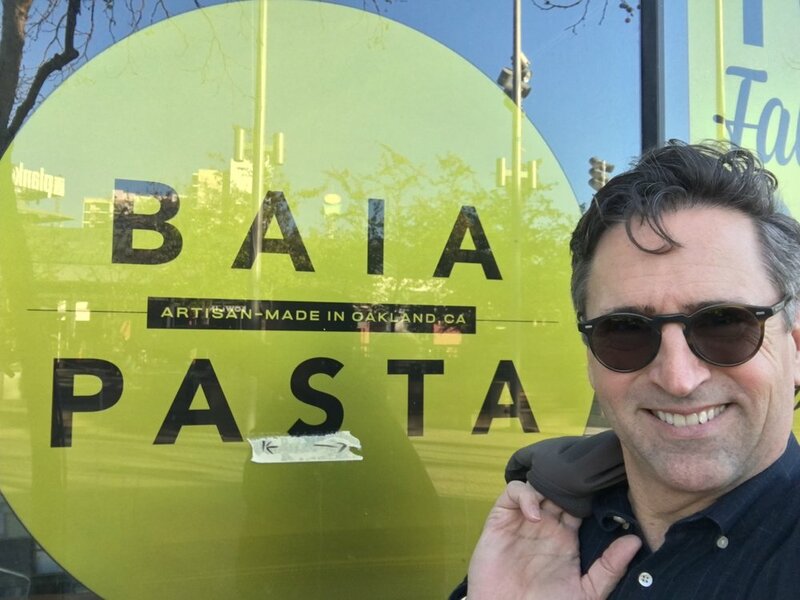 I arrived intentionally early, and when I happened upon Baia Pasta, an artisan pasta company owned by a friend of mine, Renato Sardo, I found myself thinking about mastery, as is often the case. Renato is an Italian-born foodie who is quietly on a journey to bring healthy and tasty pasta to the world. He is integrating the best of Northern Italian traditions with Northern California food sensibilities. When he talks about researching and handling the flour and water he uses to make his pasta he sounds like an artist talking about preparing canvases, mixing paints, and cleaning brushes. His casual intensity shows a level of craftsmanship I see in many of the masters I work with. Baia Pasta is next to the marina at Jack London Square and I found an unoccupied bench overlooking the boats. As I settled in and began soaking up the late afternoon sun, I was reminded of another master, my uncle, Ed Milano, a yachtsman and skier. If there was one thing about my uncle, it was that he unabashedly poured his heart into the things he loved. Though technically his hobbies, this is where he devoted most of his time and found his joy. His boats were meticulously maintained, his sailing strategic. His skiing was smooth and elegant. As teacher, he was patient and precise. In both worlds he had a robust and close circle of friends. There was a transcendent and serene energy about him when he was doing what he loved. Uncle Eddie’s first “real” boat was teak. She was called Tigger and required constant care. My times uncle Eddie left an indelible imprint on me and helped me recognize several truths about mastery, most specifically, a master's work may be a gift to the world, but it is the energy of the master's life that ripples through the consciousness of humanity long after his work is done. The energy of his mastery continues to vibrate in my life and through me to others - my kids, friends, and clients, alike. As dinner approached, I headed into the restaurant, Scott's Seafood, and found a grizzled jazzman working the piano. As a jazz pianist myself, I was happy I arrived early enough to listen without the distraction of conversation. While he was no Oscar Peterson, he was solid; clearly, he had been playing a long time and possessed an excellent repertoire and decent jazz licks. Like everyone on the path of mastering what they love to do, he was playing right up to the edges of his capability, testing ideas and exploring possibilities. I could sense his delight even as he stumbled into some phrasing that didn't quite work the first time but that he returned to again and again, with slight modifications and some successes. He was working things out, the way Matisse and Picasso did, iterating on themes, as if called by some powerful magic he did not quite understand. Of course, there would have to be a piano in a restaurant in Jack London Square - one of the last great jazz clubs in the San Francisco Bay Area is right across the plaza. Yoshi's has hosted jazz legends for decades - I saw many there, as well as in NYC, Chicago, St. Louis, Paris, and in the piazzas of village towns in central Italy, one balmy night after another, for a week, when I was eighteen. Jazz continues to teach me about mastery. Not just about the importance of learning theory to establish a foundation on which to improvise and about "deliberate practice" to develop skills (Ericsson & Krampe) as I wrote about in my book, Hack Mastery (2016), but also by showing me how the path of Mastery must be traveled with care. I have seen first hand, how our life choices can either keep us on the path or push us off, temporarily or for good. How many jazz musicians tragically spiraled out of control and off the path as a result of their life choices? A survey conducted in 1957 by Nat Hentoff of 409 New York City jazz musicians revealed that at least half had tried heroin; 16% were addicted. While some argue drugs unleashed a level of creativity and experimentation that transformed jazz at that time, it can not be disputed that this "life choice" meant the real potential of many of these masters would never be known. So many died far too young - Billie Holiday was just 44 years old, Bill Evans was 51, John Coltrane, 40, Chet Baker, 58, and Charlie Parker, 34. 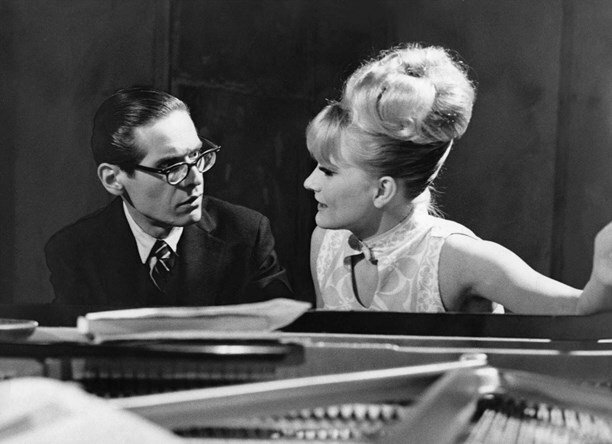 I saw Bill Evans perform the week before he died. He was playing at Keystone Korner, the iconic jazz club, uncomfortably nestled next to the Central Police Station in San Francisco's North Beach. It was the beginning of September and the summer fog whipped the crowd waiting for the doors to open. That night, Bill was brilliant, and he was suffering. Apparently, he knew he was dying and ignored advice to go to the hospital; he performed anyway. A bootleg recording of his final performances, released twenty years later (The Last Waltz: The Final Recordings,) captures both the brilliance and the pain that we witnessed. One of Bill's friends called his death “the longest suicide in history.” Still, the gift of his music nourishes musicians and the energy he exuded that night changed me, and influences the music I play today, nearly four decades later. I was 23 and a newly minted, joyful, and conflicted father. Bill Evans gave me a glimpse of how dangerous life's road can be, but I didn’t recognize it. I had no idea how treacherous the road in front of me was. And I was unwilling to listen to anyone, afraid of what they would tell me. So I would go on to make "life choices" that took me off my path, time and again, for at least 15 years. Eventually, I would learned that Mastery is a path that cannot be traveled well without taking care of our whole self. Mastery is a path to the soul and an opening to a fully expressed self. Jack London Square, thank you!